In part one of this series, I covered the use of one brand of commercially available, small transmitting loop antennas, also known as ‘magnetic loops’. For that article, I bought the very popular AlexLoop “WalkHam” antenna. It is designed to be highly portable, fit into a small case and is quick and easy to set-up. For the AmRRON operator, there are many UP sides of the AlexLoop and others like it, including very high efficiency on 20 meters and above, easy portability and excellent form factor. 1. They are designed primarily for communication only on the higher ham bands. 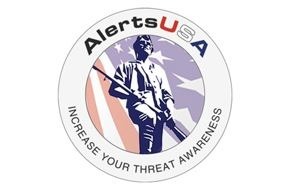 This makes sense for hams who like “DX” contacts for hobby hamming and hunting ‘DX’ stations with very small, lite equipment. However, more than half of AmRRON HF communication and all of the regional communication happens on the 40 meter band and below. These commercially available loop designs are AMAZING from 30 meters upwards, but to keep them a handy size, they are too small to have high efficiency down on 40 meters, though they are usable down there. 2. The AlexLoop and most commercial magnetic loops are designed for low power, usually limited to 10 CW/Digital or 20 Watts SSB voice. This is not a problem on the higher bands, where their efficiencies are in the 70-95% region and atmospheric noise is low. However, on forty meters, atmospheric noise, T-storms and etc. cause higher noise on the receive end. On forty meters, the AlexLoop has a calculated efficiency of only 13% meaning that for a ten Watt signal input, only 1.3 Watts is radiated. I’ve made good contacts at that level on forty meters in Morse and digital modes (including E-mail over radio) . However, because the small, lite and easily portable AlexLoop is optimized for the higher bands, I easily made several strong contacts on the high bands. 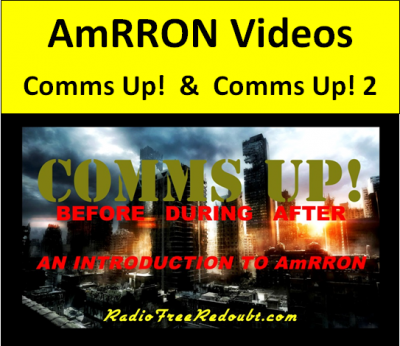 Because I was so impressed by the AlexLoop, it seemed a good idea to make a ‘magloop’ optimized for AmRRON home or camp radio operations divided between 20 and 40 meters, which is where we are most of the year. I designed in the option to operate on the 60 meter band as well, for excellent NVIS coverage, though with a little less efficiency, way down there. My BIG Loop is not an antenna optimized for hotel operation and rapid set-up/tear down, like the AlexLoop is. The BIG Loop is for those like me, who want an EFFICIENT antenna to use in a small space from 20 meters downward past 60 meters and with low chance of it being accidentally discovered. I do not intend this to be a step-by-step, a how-to article on building a magnetic loop: there are plenty of those on the internet already. However, I do want to show you what can be done on a budget for we AmRRON operators who – for various reasons- must hide the fact that we are operating a radio station. Most current-off-the-shelf (COTS) magloops are not available in packages optimized for 20 meters and below and those companies who DO make them are charging a HIGH price. So, let’s make our own HIGH efficiency magnetic loop for the bands from 20 to 40 meters and below, where AmRRON and other EmCOMM organizations do the lion’s share of the work. of them! They kill rats and stray cats in my yard. My BIG loop was designed with a maximum frequency just above the 20 meter band. According to the above link, the circumference of the loop must not exceed 16.7 feet. I selected a length of 16.5 feet (I’d advise making it 16′ even, to ensure the loop is not too long to work well). Next is the tuning capacitor: it determines your loops’ frequency range and your power limit. High voltage capacitors used to be a very common item in ham shacks during the age of tube radios. However, since the age of transistors in transmitters, the requirement for high voltage capacitors in normal ham radios has almost disappeared, making them somewhat difficult to find and a bit expensive. soldered the inner conductor to the outer at both ends. For a frequency range of 14.5 – 7.0 MHz you need a variable capacitor of at least 30pF – 127 pF. For a frequency range of 14.5 – 5.2 MHz you need a variable capacitor of at least30 pF – 230 pF. If the tuning range of the capacitor is wider, it will work I/e 8pF to 350 pF is perfectly fine, but the wider the tuning range, the ‘touchier’ it is to tune, requiring very fine hand movements! Try to keep it no larger than 500 pF if possible. You don’t need that extra tuning range, but it makes adjustment much touchier. otherwise the high voltage will spark across the capacitor plates, causing a short circuit. >>> At 50 Watts, the cap only needs to be rated to 3,300 Volts. >>> At 25 Watts, the cap is a very reasonable 2,300 Volts. >>> 10 Watts or under, you can use almost any old dual stator, variable capacitor from the tube radio days, if both halves (the stators) are the same or close to the same size. If you can slide a postcard through the plates, you should be good for at least 10 Watts CW/Digital. I ordered a “vacuum variable” capacitor from the former Soviet Union on E-bay. it was rated at 7.5 KV (7,500 Volts) with a tuning range of 8-350 picoFarad : perfect for over 150 Watts! According to the on-line calculator, it would tune from just above the 20 meter ham band, to below the 60 meter band. 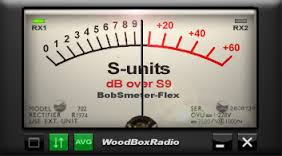 Efficiencies on the 60 meter band are enough that the signal should be usable, though 6 dB ( one S-unit ) lower than from a 90 foot long, dipole antenna. That’s fine! Unfortunately, the Soviet capacitor arrived damaged, so I was unable to use it. 🙁 However, in my junk box was a WW II surplus ‘junk’ tuning capacitor that would work! It’s not as cool as a Soviet high voltage, vacuum variable capacitor that might have been part of the old Radio Moscow radio stations – but it was ‘free’ and available and came with a 3:1 reduction drive, so that the very FINE tuning is easier. I HIGHLY recommend a reduction drive for using a non-vacuum capacitor on a magloop. Oh, and the vendor on E-Bay returned a full refund and his apology when he saw my e-mail with the picture of the dented product. A good, ethical fellow and I intend to order from him again when he has another. For the GEEKS in the reading audience, here is how I used my random ‘junk’ wide spaced capacitor with two isolated ‘stator’ sections as a high efficiency, HIGH VOLTAGE tuning capacitor. It had a plate spacing between rotor and stator of roughly 1 mm. A rule of thumb is that 1 mm spacing will handle 2,000 Volts. Because I would be using BOTH stator sections in series, the total plate spacing doubles, resulting in 2 mm spacing which is 4,000 Volts capacity or about 100 Watts key down. They are a ‘little’ bit more expensive than E-Bay, but very ethical and selling only TESTED products. 2nd Choice: E-Bay – review each vendors’ feedback carefully! Most cannot test their products nor understand how they work. Limited tuning range, and physically large for what they do, but a fair price for a rare commodity. > Running only 5 Watts from a solar recharged battery. Here is what the not-yet-completed magloop looked like during the AmRRON forty meter CW net. A half wave dipole for the forty meter band would be 63 feet across and would need to be high and in the clear for best effectiveness. 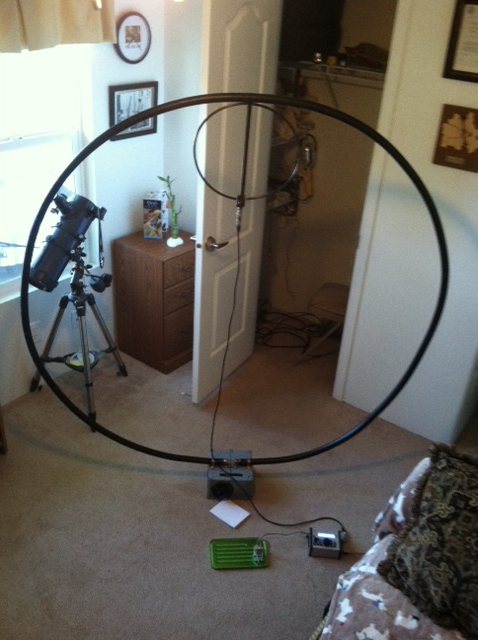 My home made magnetic loop is only 63 inches across (diameter). The calculated efficiency on 20 meters is over 90% and on forty it is 45%, which while it may sound bad, is a loss of only a HALF of an S-unit at the receiving station! Yes – my signal strength is only reduced by half of one of those little lines on the receiver s-meter. I -might- be S-9, if I could put a full sized dipole high and in the clear; on the low magloop it’s calculated to be S-8 ½. I’ll take that – HAPPILY! in a closet or a wooden storage shed! On twenty, it’s at least as good as a HIGH dipole, on forty meters, you can’t hear the difference between S-9 and S-8 ½ in the real world. I cannot string-up a forty meter dipole, 63 FEET across, 30 to 70 feet high and in the clear; I’d be ratted-out by my neighbors in a heart beat! However, I have no trouble using a high efficiency magnetic loop only 63 inches across and I’m ‘invisible’ to the prying eyes of the communist HOA and their willing informers. 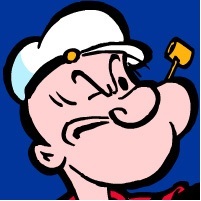 Excellent job, Popeye. I made an SSB QRO QSO with Popeye on the AmRRON 40m frequency a few days ago. 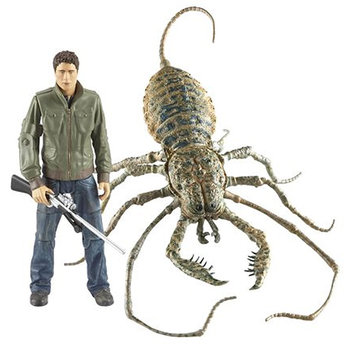 He was using that antenna and I believe he was coming in at about S8. Nice and strong, even with poor band conditions. I’m glad that you liked the article and thanks for reminding me about the signal during SSB high powered net! It was fun serving as an out-station, calling for those who might not hear net control – using an indoor antenna. Ssssshhh! Don’t tell the HOA that I was ‘alt-NCS’ for THREE WHOLE MINUTES – BIG secret!!! Moo-ha-ha! It was a bad time for HF propagation because of the solar-terrestrial disturbance, but – in true AmRRON fashion, we got the message though. One thing is clear: the magloop antenna is not a compromise when it’s sized properly for the desired bands! Ps. I ordered a uber-low geared DC motor to make the magnetic loop remotely tunable, then – I can install it into the garden, , camouflaged using non-metallic wind chimes, feathers and tufts of fake fur, as an inter-cultural garden decoration. Yes – reeeealy! FB agn Popeye! Great second installment. Any chance on seeing a closeup picture of where the secondary loop connects to the cap? That always seems to be an issue with STLs. I’m kludging together a “big loop” with a standard single-stator cap from an old transmatch. Not optimum, but something to play with. ALSO, can we get you in the NCS roster for the MTZ? Even only as a pinch hitter, we sure could use you! Here is my attempt at a 30/40m loop. I prefer feeding it through a toroid.. It worked great, 21ft circumference. I am thinking on getting the alexloop for myself since I live in commie land myself (nyc ) I am in the process of putting together my own hf backpack using the 817nd radio and sherpa solar kit. There are so me great YouTube video of the alexloop using tge 817nd. That AlexLoop is really a wonderful antenna for limited space and for an efficient upper band, portable antenna. On the bands from 30 meters up to 10, it’s performance is very good AND it can greatly enhance your shortwave listening on any frequency from 7-30 MHz. I could usually set it up within 4 minutes, including the “lighting” tripod that I bought from Amazon for about 15 dollars. I looks like it was made for the AlexLoop. On the bands from 30 meters up to 10, it’s performance is very good AND it can greatly enhance your shortwave listening. So far I have the powerport.com 703 radio back. It is alittle to snug for my needs. I have downloaded the android version of flidigi for my Samsung tab 10.1 and purchased the appropriate connection as well. I am waiting for delivery of it tomorrow. Everything will be stored somehow in the HF pack. The solar part is thus: the nomad 20 portable solar panels attached to the sherpa charger an inverter. It charges very well (charger connected to panel ) with the panels placed inside the windows where the most sunlight comes in. On a side note I and expecting the SignaLink next week. I will report my results next week after t he initial testing of it, along with what type of antennas used. I received the whopi link and had no problems plugging it into my Samsung tablet 10.1, using the software DroidPsk and andFLmsg I was able to tune in psk 31 and mrt61 with ease; however, no one was on to send a message too. Through Google play store there is a app called 817nd which is fantastic! It basically puts this radio on steroids. The above-mentioned apps can work on any android device, thus vastly reducing the weight in a man – portable go radio station when you need to use digital communications in the field or go stealthy, it works with the Baofeng UVR 5 PLUS as well, but I am still researching what type of link besides the SignaLink that can be used for man – portable operations with this radio since I am the NYC chapter Oathkeepers Communications officer, and almost all of my people have the above mentioned handheld radio. More to come in the following days with more research and equipment I acquire. My BIG loop was designed with a maximum frequency just above the 20 meter band. According to the above link, the diameter of the loop must not exceed 16.7 feet. I’m pretty sure you meant circumferance. I managed to pick up about 30 feet of heliax at a cell phone site that was upgrading some of the equipment on the tower, Perfect. I’m hoping to assemble an 80m loop antenna, maybe use it for 40m as well. These mag loops are so great. When I was a kid I fooled with a tuned mag loop for receiving only and it worked amazingly well. Great at cutting out the noise polution, images, that sort of thing. Nice article. All the best to you. 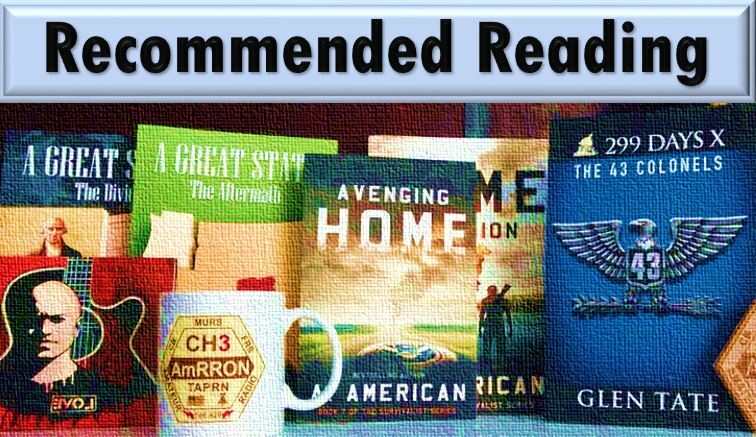 Good Catch – and thank you: it would be confusing. I’ve edited the article, using the correction you passed-on. I have got ticket recently and was looking for good antenna for limited space. I stumbled upon this web page and liked it. Just wanted to know how much hight from the ground we need to keep this antenna? When the magnetic loop mounted vertically, one – two loop diameters off the ground is fine. Mine is only one diameter, on a tripod. I was just sleeping and woke up. I guess it was heavy on my mind. You said a 1″ OD diameter. What if you got the 2g or 4g monster power cable us d in some automotive jumper cables or the one used by 1200w amps? I ask because I have a friend that sell me all my automotive electrical supplies. Comes with a thick jacket and is easy to bend and tough. I have to work on a strong frame, but could that handle the voltage and not have a loss in tx/rx-ability? It’s either my 16ft stop sign looking loop with a smaller on, the big one and a coax loop or the automotive one stated able…. Just some ideas bouncing in my head. 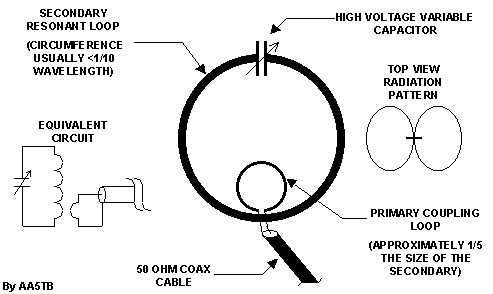 I came across your mag loop antenna article today and noticed in your Recommended Reading section there’s an incorrect attribution to Adam Curry in a referenced paper titled “An Overview of the Underestimated Magnetic Loop” by Leigh Turner VK5KLT. To remove confusion here you may wish to correct this inadvertent error…. Glad you found us! It has been updated. Thank you letting us know! Came to learn about the magnetic loop antenna and instead was introduced to the unique concept of a communist HOA. I’m intrigued and would like to know more. All of the HOA I have encountered are extremely capitalist, and most are obnoxiously so. They seem to exist for the profit of everyone except the home owners. So for you to mention one that is based on communistic values has my full attention. Where can I learn more? After reading several articles on magnetic loop looking for information, I feel this is better then most I’ve read, because of its detail, specially using a dual stator cap. I am well into building mine for remote tuning and directional positioning. My tuning rate is 1 rpm using a 6.5 rpm geared motor feeding 6:1 dial. 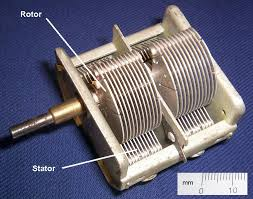 The motor fed with a reversible speed circuit for fine tuning. I am mobility impaired so I don’t have to get up so much. Using a 5′ loop.